The Fire Essence embodies the ancient healing qualities of Katajuta. It helps burn off the unwanted in your life and provides inspiration and motivation to follow your life path with a fiery sense of purpose and direction. The Fire Essence was made in the sacred area of Katajuta in Central Australia. It encompasses the passion, creation, possibilities and potential of Fire. 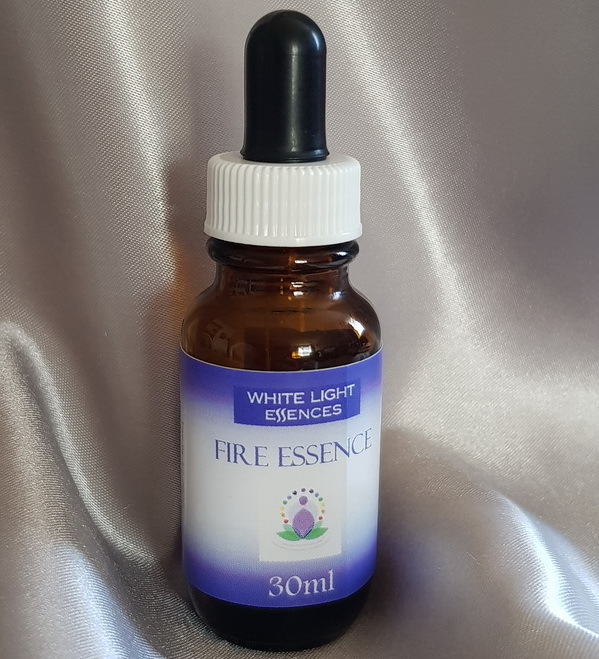 One aspect of the four Elemental White Light Essences — Fire, Water, Air and Earth — is that they help you to connect, embody and master that element while also aligning you to the Nature Spirit of each particular Element. The Essence helps with the burning off of one’s dross — or impurities, especially that of the astral body. It can open people to their most ancient source, back to the moment when the soul originally chose the life purpose for its earthly incarnation. Consequently, one is inspired and motivated to follow their life path and fulfill their highest destiny.